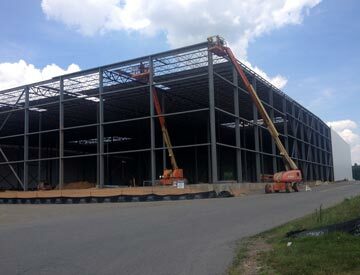 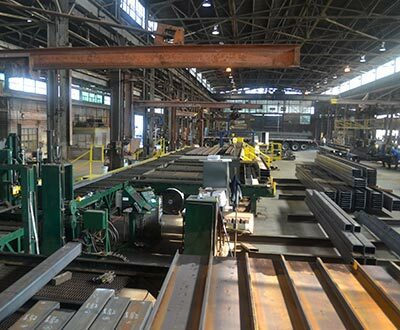 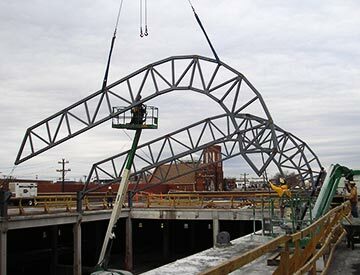 With over 220,000 square feet of fabrication area in two locations, Structural Steel of Carolina can provide timely delivery of structural steel to projects requiring over 1,000 tons. 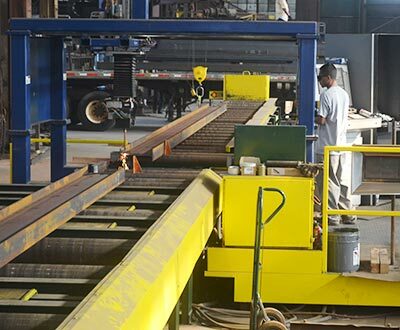 Our Salem Plant is equipped with modern CNC processing equipment and overhead cranes capable of lifts up to 25 tons. 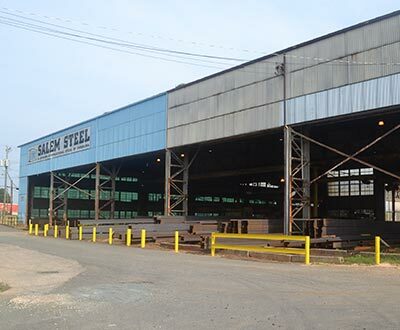 Our Hickory Plant benefits from the CNC processing equipment located at Salem and provides additional capacity for fitting and welding operations. 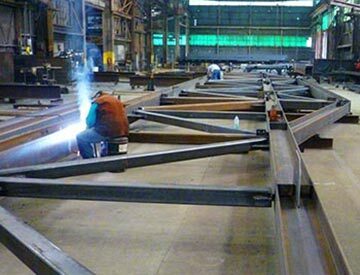 Our employees at SSC are more than fitters and welders, they are steel craftsmen. 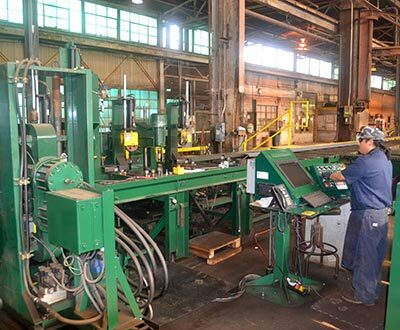 SSC’s 32,000 square foot detail shop is equipped with a CNC Plasma Punch, a CNC angle line, a CNC Burning table, a mitering band saw, drills, single end punches and is still large enough to store all our raw detail material indoors. 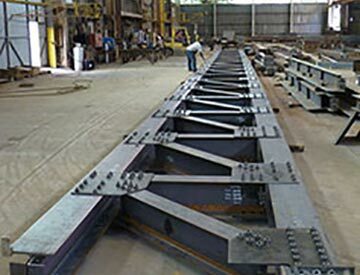 Our CNC beamline produces accurately punched beams by receiving information directly from files produced from CAD drawings. 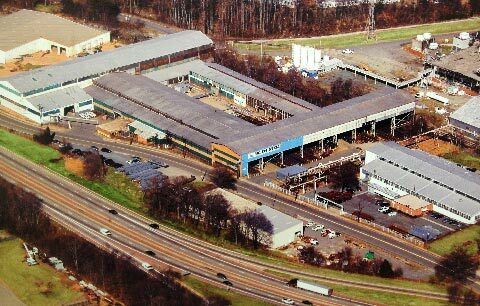 Our 26,000 square foot South Craneway houses all our raw main material under cover. 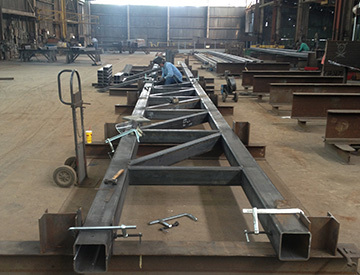 Our CNC beam coper produces copes and weld preps, strips beam flanges, burns holes for web penetrations and miters. 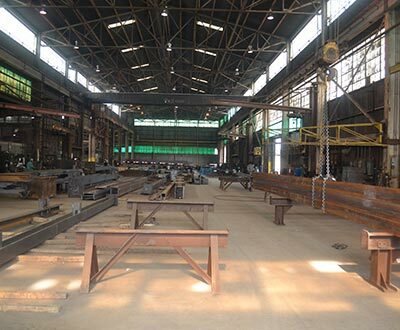 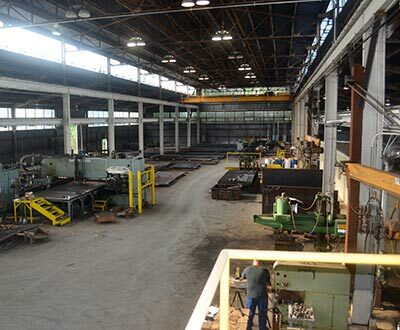 The Main Aisle is equipped with two band saws, a CNC beam line, a CNC beam coping machine, press brake and shear..
Cranes in our North Craneway are capable of lifts up to 25 tons.